Mother’s Bistro & Bar is blessed with an amazing, devoted, competent staff singularly focused on making your dining experience the best it can be. The moment you walk in our door you’re embraced by our commitment to provide the best possible service with a smile. From our cooks to bussers and servers to bartenders, everyone works together so you’ll have everything you’ll need and more. We work hard to make sure your glass is always full, your food is delicious, and everything is served hot and promptly. Some staff have been with us for nearly as many years as we’ve been open. There’s Bryon Deisher who started with us as a busser at the age of 18 and is now our General Manager 16 years later, Jason Kastrup, our lead server (a.k.a. the “guest whisperer”) who knows what you want before you do, and a host of others who live to serve. We’re always excited to work with energetic and talented people! 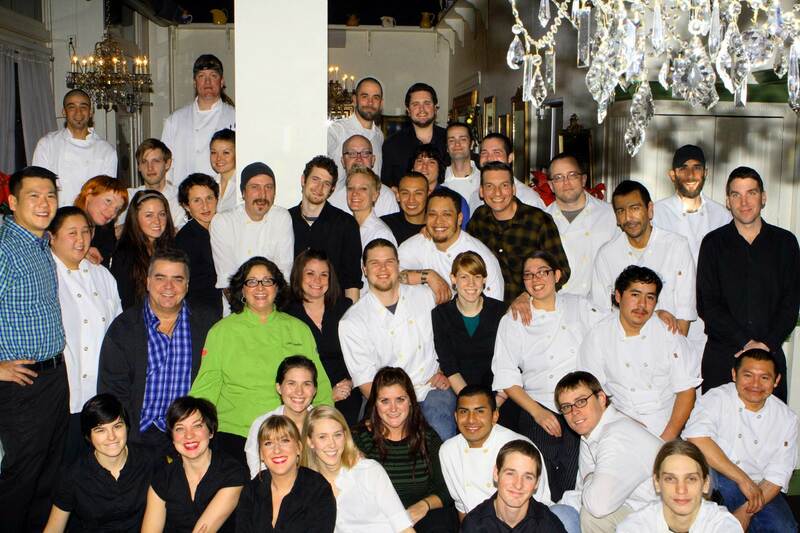 Do you have experience in the restaurant industry and looking for an exciting workplace? If so, check our current employment opportunities and send your resume to [email protected] and tell us little bit more about yourself.